I am Snozzlebert Snugglesnatch. Kneel before me. Clearly the internet has a cracked cog out of place because there is no way this special site has only come into existence now. On Tumblr, of course. Spend a few minutes with this little gem as it spits out ridiculous, yet oddly close, variations on the name of the otter who would be Cumberbatch. That is, if you have the ability to look at Benedict Cumberbatch and not immediately spiral into a fugue state over last season’s Sherlock finale. We’ve all gone down that road. Why is Simon Pegg’s voice amazing? Why do Nick Frost’s random noises make iced macchiato (because I’m fancy) come out my noise? These questions …will not be answered by this video of Simon Pegg and Nick Frost covering Daft Punk’s “Get Lucky,” but your life will be made better for watching it. I was one of those strange girls who, growing up, had a crush on Luke Skywalker instead of Han Solo. I know. It’s weird. While I have now seen the error of my ways, Mark Hamill will always hold a special place in my heart for other reasons — like Batman: The Animated Series‘s joker. The incomparable Tara Strong (aka Harley Quinn) posted this video with her “puddin’ ” on her Vine. Is it weird that it fills me with so much good will? 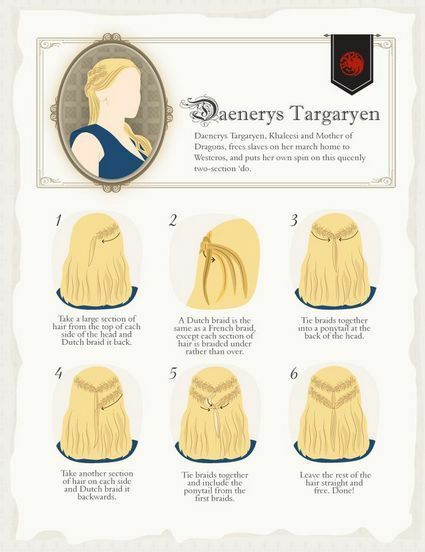 If none of these do the trick, you could always take an extra long bathroom break and try out one of these amazing Game of Thrones hair braiding tutorials (via wind-uptoy. 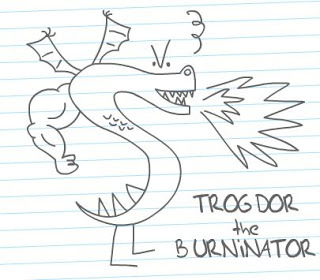 Now you can shout “I am Snozzlebert Snugglesnatch of House Targaryen, the Unburnt, Mother of Dragons, khaleesi to Drogo’s riders, and queen of the Seven Kingdoms of Westeros” and really look like you mean it.